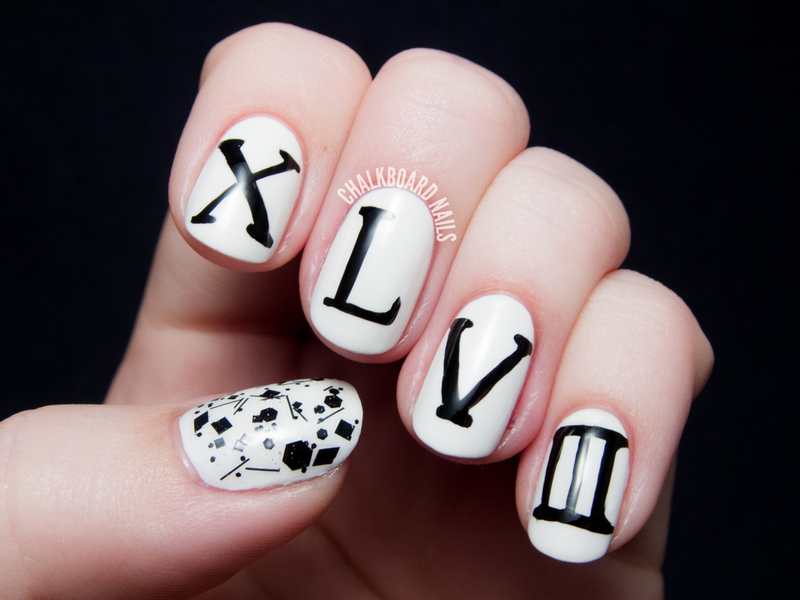 As I'm sure you're aware, today is Super Bowl XLVIII. 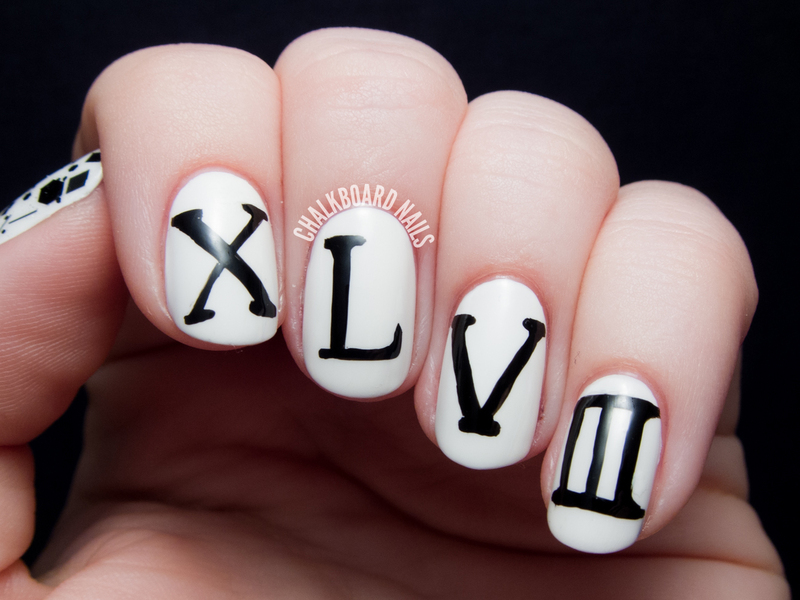 I had to do some nail art for the occasion, but as I don't really have a team preference today (maybe slightly leaning towards the Broncos), I thought I'd take the opportunity to work on some freehand lettering and paint the Roman numerals. 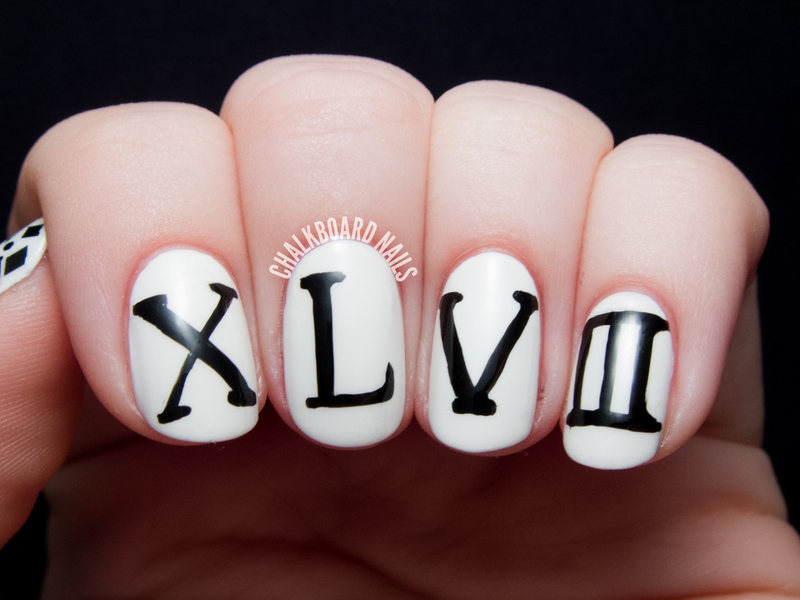 The base of this manicure is Nicole by OPI Yoga-Then-Yogurt. I freehand painted the letters with American Apparel Hassid. The thumb is sporting Cirque Vectors (as are all the nails on my right hand). 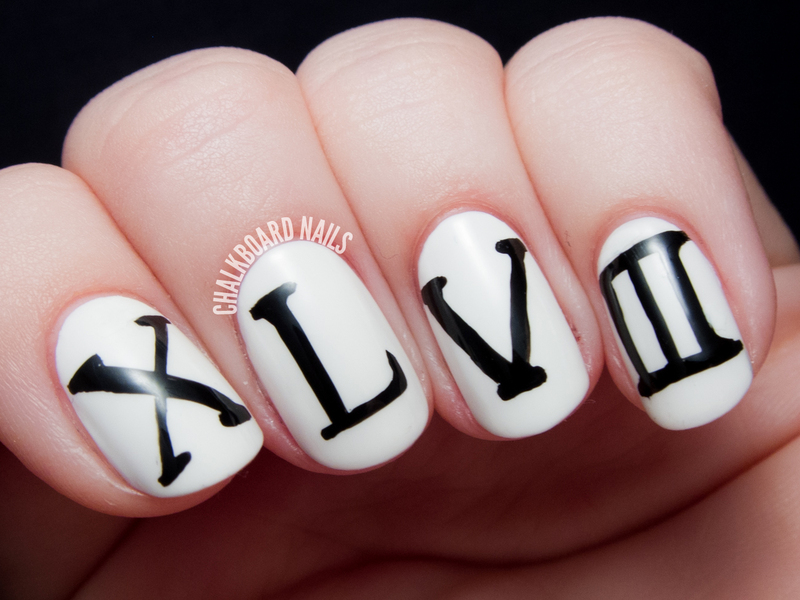 I'm really happy with the way the letters came out, and I only ended up redoing one nail the whole time! Hope everyone has fun this afternoon! Great freehanding skills! This would be equally great for New Year's too! Or any date that has significance to you. Thank you Krystal! 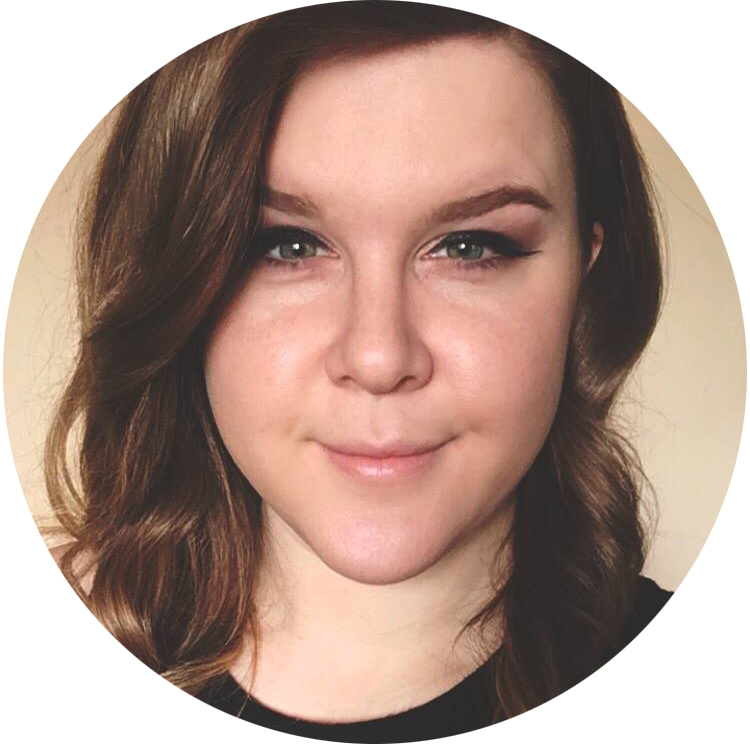 I'm so happy with how my redesign turned out too, my designer is a genius!